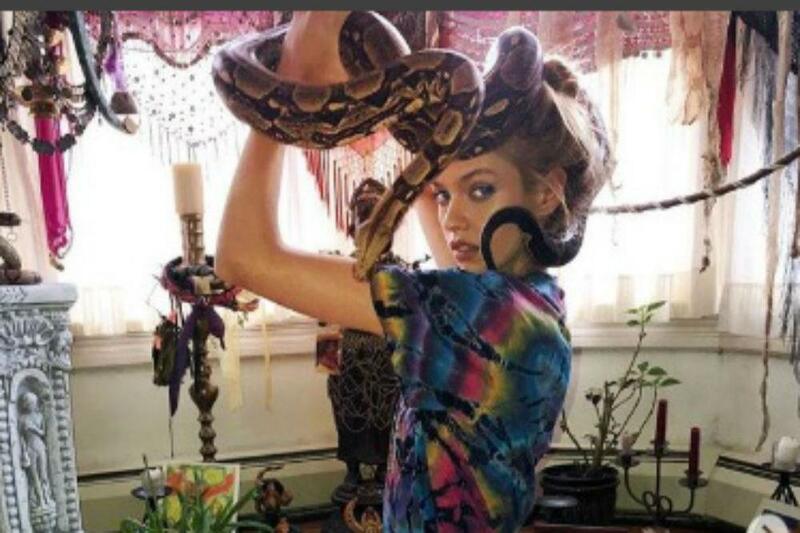 Stella Maxwell visited a serpent spa in New York to have a massage from snakes. Stella Maxwell had a massage from a pair of snakes on Wednesday (05.12.18). The Victoria’s Secret model – who is in a relationship with actress Kristen Stewart – underwent the unusual beauty treatment at Serpentessa, a specialist spa in New York and thought it was an „amazing“ experience that allowed her to get in touch with her „wild divine nature“. Stella took to Instagram to share a series of photos of herself with the serpents. According Serpentessa’s website, she offers clients a private one-on-one session and acts as a guild while the „boa constrictors‘ soothing undulations dispel any fears or concerns by toning and stimulating your body’s vagus nerve, releasing endorphins and oxytocin. Whoopi Goldberg is also said to be a client at the spa.